That is how I would describe my beautiful, vivacious four year old when I don’t agree with doing something her way. Most of the time this means not buying her the toy she needed. Most days, I am half amused, partially annoyed/worried that she is too spoiled, and part of me is in awe of her innocent disappointment. To be truthful, it pulls at my mama heartstrings and breaks them a little to see her be disappointed. Guilt likes to crowd in because I am the one who is causing it at that particular moment, but isn’t that our job? To teach our children how to be an adult that is an asset to society? But what does that look like and what definition of asset is relevant here? And how do we teach our children this without them hating us? I’d like to explore the wonders of parenting for a few posts, if you don’t mind. Mostly because that is where I find myself right now, but also because I think that I could use some mentoring and pass it on at the same time. There is something about disappointment that has an instant light switch to your tear ducts and the heat level in your cheeks. Man, it is out of control! I thought it was something that I would outgrow, but apparently, it isn’t. There is just something very unique to disappointment that makes this mama have to excuse herself in front of her kids because I need to get a handle on the old emotions before they steam off in front of two very watching eyes. I would love to say that I am always a perfect role model but that is just a lie. I would also love to say that I always strive to be more like a seasoned mom role model. But if the truth were told, my apron is maybe light pink and my pie crusts are hit or miss…. …Especially on the days I don’t refresh and renew my mind with who God made me to be. He put you and me in each of our families because we were hand picked to be mamas and dads and grandparents or great grandparents or friends or mentors to the specific children and people placed in our lives. 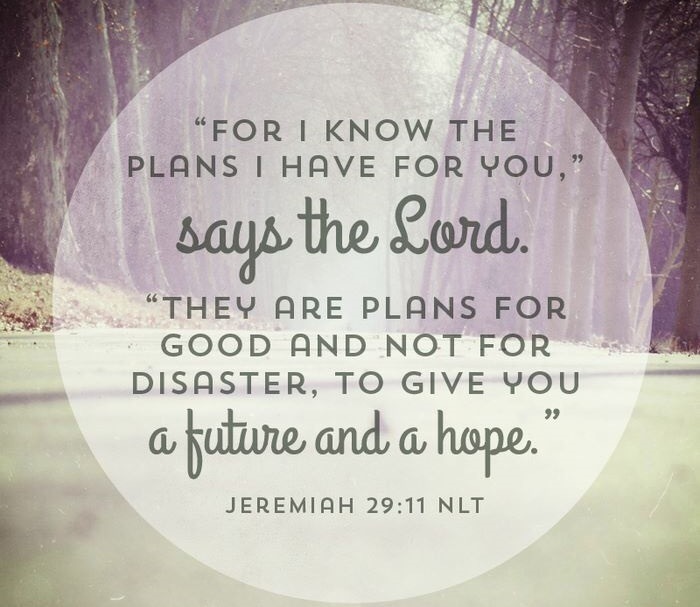 Don’t forget Jeremiah 29:11!!! These plans include these people. But they won’t forever, so we have to make the most of the time God has given us or at least get our heart in a place where that is its desire. We will make mistakes with our time and fail because we are human. One of the coolest things about God is that He has heart x-Ray vision. He knows what our true motivations are, even if we don’t. If our hearts are tender toward God and we are still seeking him in the best way our limited brains can imagine, you just made God’s day. Remember when your child made you something, whether it was a painting or brought you a flower or something they were proud to give you? Was it a masterpiece you were headed to the Museum of Art to display? Maybe not unless your kid is a prodigy… (Which is also very cool!!) I don’t remember what it was my kids gave me, but I do remember their faces when they shared it with me. It melted my heart that they thought of me. So, I can imagine that since God loves us more than we can even fathom, this has to be a similar emotional reaction of some sort. You know disappointment and what it feels like to you and how you react personally. You may have just come through one, been awhile, or living it everyday at the moment. Wherever you are, God is listening and He didn’t ignore you, He knows your heart is breaking, and He loves you so very much. He is the epitome of a seasoned parent. He can see the entire patchwork of our puzzled life while we are still trying to figure out how to fit this jagged piece somewhere. He knows that there are more experiences that you are going to have to go through before this piece will fit. Think of a puzzle. The 5,000 piece ones!!! “So then, what does God promise when we are disappointed? One promise that’s helped me over the years is Psalm 34:10, “The young lions suffer want and hunger; but those who seek the Lord lack no good thing.” This promise is for those who seek the Lord — those who are saved by faith in Christ and are seeking to know God. The above referenced article is a great resource for me, personally. I tend to like things with steps so I can see progress or digress. We are all somewhere in this process. We either have been going, are going, or will be going through some sort of crisis or disappointment in the future. I heard Joel Osteen describe crisis in Japanese one time on his radio show. Danger for me is territory that is unknown. I really struggle with that because it is terrifying to me. However, I am in the process of learning that God can bring opportunity in that danger which never would have happened if we hadn’t been shoved in it in the first place. And let’s be honest. Who says, oh, I would LOVE to be laid off and not be able to find another job in my industry! That sounds fun! Or, wow, that unexpected medical report is just what I wanted! How about, oh good, an old debt that I totally forgot about is coming due or I love being overwhelmed in debt I have no idea how I am going to pay off. Breathe. This is why you have a Savior. 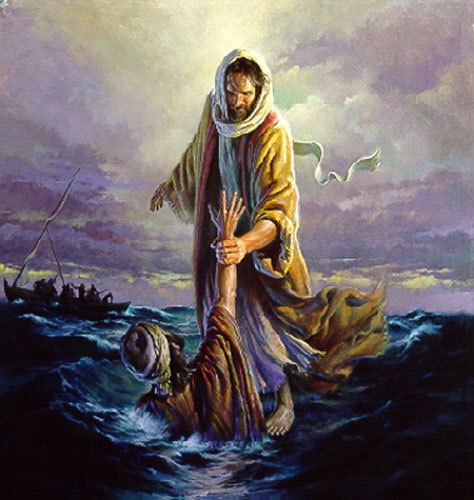 He will rescue you. He can see the picture on the puzzle box. He knows how to fit our lives together. Each disappointment is a jagged piece that aligns perfectly when it is put together with another piece that may be a joyous memory or a sorrowful one. He smooths it over with His hand just like He does our hearts if we let Him. And now for True Mama Confessions. I would love to say that my four year old is the only one in our house that doesn’t deal with disappointment or crushing news like that. She gets it from somewhere, a/k/a me. The mom. The one who is supposed to show this tiny human the correct way to behave. Yea, I have failed at that and it was pretty humiliating. But my children have shown me the most amazing amounts of grace, forgiveness and acceptance that I have ever seen. It was humbling and freeing all at the same time. I apologized and they accepted. They were modeling something to me without even realizing it. Maybe God can use us even if we don’t overthink it and analyze it to death. What? !